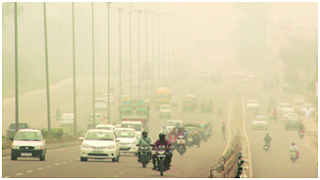 In April 2010 Bharat Stage IV emission standards came into existence in India. These norms are supposed to come into effect nationwide from April 2017. After that Indian government is even thinking of upgrading BS-IV norms directly to BS-VI norms by 2020 while skipping BS-V norms, which will put a lot of extra pressure on the oil refineries that will need a substantial investment to upgrade their refineries to supply fuel types that can match the BS-V and BS-VI standards and automobile manufacturers that now need to progress gradually. With this country wide implementation of BS-IV emission norms, government is striking for the pollution free India. Shriram Automall India Limited (SAMIL), while following these norms and playing its part in the National Development by supporting government in every way possible has successfully unfurled vast Automalls in every nook and corner of the country. Through their vast inventories filled with used vehicles & equipments of every make & model compliant with current emission norms, company serves all kind of vehicle requirements of its customers in India. If you as well are looking forward to acquire or dispose used vehicle & equipment, you can visit your nearby Automall and go through their efficiently vast inventory. You can also download “MY SAMIL App” and easily go through the vast inventory at your comfort or you can simply click the link below & register yourself. India is expected to be 3rd biggest automotive market by 2020. Yes, that’s true Indian automotive sector is growing with a remarkable speed & because of it country will be soon facing increased demand of automotives in the market. All major OEMs are keenly going to play their determined roles to make India the 3rd biggest automotive market globally. For instance, MarutiSuzuki India, who nearly commands 50% of the passenger vehicle (PV) market in the country, is now moving forward to start its new operation in Gujarat as a part of its plan to raise its total production to 2 million units by 2020 which will make the market size to grow with a boom. With new plants coming in, Indian automotive market is going to see introduction of new products to meet the growing demand, thereby increasing the production of the new Automotives in the segment. Shriram Automall India Limited (SAMIL), who is best known for being the no.1 service provider for acquisition & disposal of used vehicles & equipment in India, is going to play its part in making India the 3rd vast Automotive market in the world. As every new vehicle sold in the market becomes the base for the used vehicle market resulting in increase in demand of used vehicles & equipment. Company is keen to provide best customerexperience with its unfurled existence throughout the country. Now it is focused to fulfill the upcoming demand of its customers for used vehicles of new models by making sure of their availability in the huge inventories established for customer convenience. SAMIL to strengthen its hold in the Indian market is going to be one step ahead with its Automalls in every nook & corner of the country providing customers latest used models of every make affiliated with latest BS-IV norms at optimal prices. By the next financial year, many leading automotive manufacturers are looking forward to introduce new products in the market, which will result in both growth & demand of the sector in the country. And SAMIL very efficiently is going to strew the road to be the owner of a used vehicle for its customers, while providing great deal through their innovative bidding platforms to both buyer & sellers. Sameer Malhotra (CEO, Shriram Automall) said: Company is going in the right direction & has become the no.1 service provider for acquiring and disposing used vehicles and equipment with negotiated deals while offering complete transparency through diversified bidding platforms. With the increasing number of new products coming in market & growing demand for them, we are now focused to upgrade our inventory with those products, as new for one will become used for us. We are gladly looking forward to play our part in making Indian Automotive Market the 3rd biggest market in the world, while playing our part in the National Development as well. Indian Government due to the increasing amount of pollution in the country instituted emission standards in 2000 known as “Bharat stage emission standards”. Progressively stringent norms have been rolled out since then. After the implementation of these norms every vehicle in the county manufactured has to be compliant with the regulations including motor vehicles. Time & again, these emission standards upgraded. Bharat Stage (BS-III) norms were enforced across the country, in October’2010 & since then it is followed across the country. Under these norms, each stage specifies a certain limit on the pollutants released, which is controlled by the type of fuel made by the oil companies and the up gradations and modifications made by the auto firms to their vehicles to control the pollutants released from the vehicle. All of the northern India has been using BS-IV relevant diesel & petrol from quiet long now. But in southern India, BS-IV fuel availability was made sure in 2016, which leads to supply of BS-IV fuel in Goa, Kerala, Karnataka, Telangana, Odisha, Union Territories of Daman and Diu, Dadra-Nagar-Haveli and Andaman & Nicobar. Now, the government is focused to supply the BS-IV fuel to the rest of the country by 1 April’2017. With this country wide implementation of BS-IV, allowance on registration of BS-III applicable vehicles in the country is on hook & yet not decided. With always increasing amount of air pollution in the country has now decided not to follow the stepwise up gradation norm strategy i.e. From BS-II to BS-III & then to BS-IV as now the Oil Ministry, is looking forward to considering the proposal of switching BS-IV to BS-VI auto fuels directly, thereby skipping BS-V by 1 April’2020. Although initial plan included up gradation of the norms to BS-V by 1 April’2020, as skipping an entire stage of emission norms will put a lot of pressure on the auto firms and even the oil companies, which have supported skipping of BS-V stage. As under BS-V emission norms, vehicles have to be fitted with a diesel particulate filter, which needs to be optimized according to Indian road conditions, whereas under stage VI, selective catalytic reduction technology has to be optimized, where at each stage, the technology would be validated over 6lakh to 7lakh km. Given the complexity of the process, direct up gradation from BS-IV to BS-VI is going to be quite difficult, though Indian oil companies had told the government that they would be in a position to make BS-VI fuel ready by 2020 . According to a PTI report, oil refineries will need huge amount of investment for up gradation of these norms, as over Rs 80,000crore was needed to upgrade BS-IV TO BS-V, and for direct up gradation to BS-VI, oil refineries might need more. What will be GST (Goods & Services Tax) Implications? GST (Goods & Services Tax) Law which is to be implemented in India by July’1, was made public in November 2016. GST provides for maximum rate of tax under the new regime i.e. at 14 per cent (14 per cent central GST and an equal state GST, taking the total to 28 per cent). The peak tax rate will rise up to 20 per cent, from the current 14 per cent, in the model goods and services tax Bill, which will preclude the requirement of approaching Parliament for any change in rates in future. The change in the peak rate, under GST bill will not tinker the 4-slab rate structure of 5, 12, 18 and 28 per cent agreed upon last year, GST council has only kept the upper cap higher at 20% so that in future in case of need of hike tax rate, there is no need to approach Parliament for a nod and the GST Council can raise it itself. Decided 4 tier structure will hold for now, this means the central GST and state GST can be up to 20 per cent each, leaving the scope for a maximum levy at 40 per cent. Like the model GST law, the CGST, SGST and UTGST law will be firmed up by the Centre, states and Union Territories, respectively. 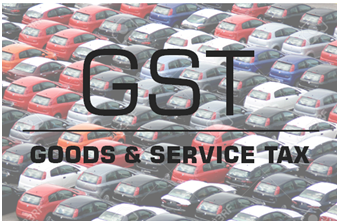 Forthcoming session beginning from this March’9, Centre plans to introduce in parliament the Central GST (CGST) bill. After its ratification, the state will look forward to introduce State GST (SGST) in respective legislative assemblies. Which goods & services will fall in which section is yet to be taken care of & after that’s done same will be taken to the Council for approval soon. So, we can assume that final approval will come by mid March only as next meet for GST will held on March 16. Healthcare sector will not come under GST. As this sector caters the health needs of people, it should be kept aside from the purview of GST; otherwise it would be impossible for common people to access medical care which will be expensive & unaffordable. Currently Healthcare is out for service tax & similar will be followed even after its implementation as if GST levied on Healthcare, country will never reach the much avowed goal of providing Universal Healthcare coverage will not be possible. So, currently even Healthcare premium will be exempted from GST, in fact there will be a raise in tax exemption of 5,000- 20,000 on preventive health checkup to reach the goal of Universal Healthcare coverage. Large number of items like food & other essential household items will be exempted from purview of GST. New amended GST bill will also affect the automobile sector positively while boosting the demand in the market as with the GST in place, taxes levied by the centre like excise duty and state levels taxes like sales tax, road and registration tax would all be subsumed into one. While following the 4 slab system the lowest slab tax rate will be implicated to the smaller cars making it easy to buy for common people. As India aspires to evolve from a developing country to a developed nation, Indian economy with fastest growth rate is making an impact globally. The steps taken will change the pattern substantially of how Indian’s have been living and spending till now, while affecting present & future lives of people for better. If you as well is looking to be the owner of your own asset, SAMIL is your best choice as they offer best quality assets at optimal prices through their multiple bidding platforms. You can both download “MY SAMIL APP” and register yourself on the following link and go through their vast inventory filled with used vehicles& equipments of every make & brand. Here we have come again with some job openings for the multiple profiles. If you feel you can pick up the challenge that excites you most then please share your updated resume at hr@samil.in. 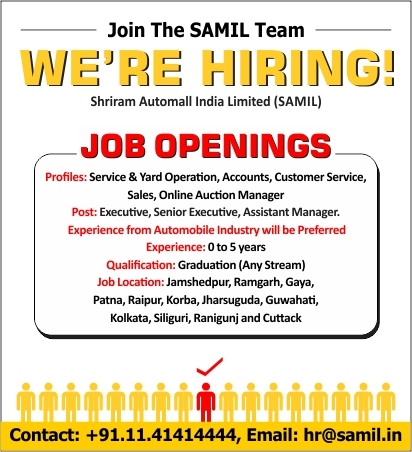 SAMIL (Shriram Automall), No.1 Service Provider of Used Vehicles & Equipments is best known for its uncommon result oriented services, which deliver customers the best experience of all time. While realizing the upcoming customer needs, company tries to be one step ahead with the solution to fulfill them. 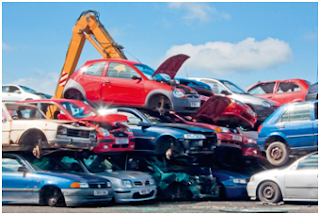 Every innovative bidding platform & allied service work as a resource for the customers who are interested in acquiring or disposing used vehicle & equipment. With huge established Automalls unfurled in every corner of the country, company successfully manages a large inventory filled with pre-owned vehicles & inventory of every make & model, while reaching out to the maximum customer base nationally. Company realized in today’s fast running world everybody is thinking innovative, as innovation is the new cool; everybody wants easy access to things they desire. While giving that access to its valuable customers SAMIL has brought DESKTOP BIIDING facility, where interested customers at their convenience can go through company’s vast inventory & place the bid on their desired vehicle during live bidding through their desktops. Within a fraction of time, company’s LIVE BIDDING facility creates a “gut feeling” which helps customers realize that all company’s services are allied to boost both their business & customer experience. Being a leading used automobile company, it realizes that vehicle buying can be a highly emotional process. As it could be the biggest investment or a purchase a customer might make in his/her life which can be both exciting & nerve wrecking. That’s why company has created the facility which is not only user friendly but also detailed, as customers can learn all about the company & other services that they want to know. Customers can also go through the detailed schedule of upcoming live bidding events. The facility instills trust & credibility in all forms. As facility initiated to bring the power to participate, in company’s live bidding events from the desktop simply with just one click. All customer have to do is register him/herself and pay RSD Amount Online (Refundable Security Deposit). After which customer through his/her desktop can efficiently bid on the desired used vehicle of their choice. As complete transparency is maintained while closing the deal through every bidding platform that company offers, customer can hear him/herself carefully to the live bidding process to experience complete transparency. 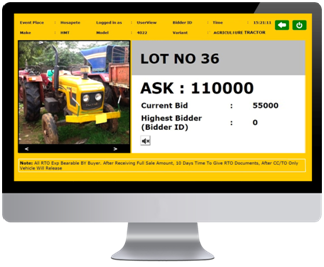 If you as well is looking to acquire a pre-owned vehicle or equipment you can visit SAMIL’s website through the given link & experience DESKTOP BIDDING FACILITY or you can download “MY SAMILAPP” and place the bid through it. 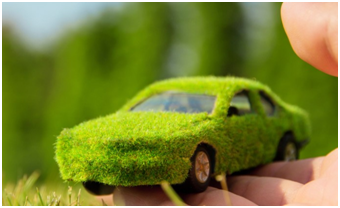 Indian government while actively tracking development in automotive space, has introduces quite many new rules and advance technology processes to improve vehicle quality making them both road worthy & less polluting. It is understood that, scrapping a vehicle involves not only shredding of parts but also setting up a mechanism that can, in an environmental-friendly manner, dispose of the scrap which includes segregation of metals, non-metals, rubber, and other materials. 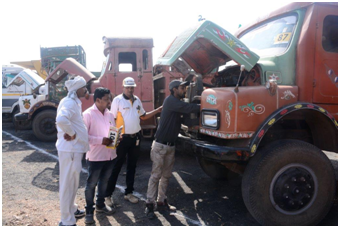 Each one of these materials undergoes predefined recycle method, which implies that Scrappage policy can only be implemented only after setting up an eco-system wherein polluting and old vehicles can be duly collected and transferred to authorized dismantling facilities. These facilities would then safely and environment-friendly dispose the old scrap, recovering the reusable metals and materials that can go back into the production-cycle, which will also relieve India of unnecessary imports. This Voluntary Vehicle Modernization Programme (V-VMP) or the Scrappage programme announced by the transport ministry can boost Commercial Vehicle (CV) sales by a cumulative 65 per cent between fiscals 2018 and 2020. "The V-VMP scheme can also lead to incremental sales of 4.4lakh CVs (primarily MHCVs) worth Rs 66,000crore, a cumulative growth of 65 per cent during this three-year period". -Crisil Report. If this scheme gets implemented which most probably will, over 2lakh CVs would get scrapped and replaced in the normal course through the three fiscals, given the current junking rate of around 67,000 units annually. Therefore the total vehicles opting for the scheme will be 6.4lakh. Sales of medium and heavy trucks will face the increment of over 85% because of their lifespan of 20 years. But, pick-ups, upper light CVs and MHCV buses, which have a lower lifespan of 15-17 years, will have a smaller share in vehicles being scrapped. Government will also consider the fact that Transporters scrapping old CVs will not be the buyers of new CVs, since their business is viable using only an older truck. Considering this government may provide a cash discount to those who will be junking old vehicles or make the V-VMP incentive certificate issued to transporters tradable. A cap on the engine cubic capacity stating the difference between scrapped and new CVs bought under the scheme will be considered by the Government. Alternatively, the government may provide different incentives, based on engine cc of new CVs bought versus that of the old one scrapped or offer lower benefit for higher differential in engine cc. Government is efficiently taking all the steps to make today a better tomorrow. SAMIL as a whole with its core values will play its part while providing used vehicles under these schemes to its customers in good quality, that too at minimal prices. To register all you have to do is click the link below. With the growing demand of commercial vehicles in India, we can consider that commercial vehicles (CV) play quite a vital role in growth of Indian Economy. Rules & laws do play an important role in their growth, but not that much as no matter what, commercial vehicles are going to be in demand for import and export purposes, as they are the best choice in disguise for transportation especially in areas where no other mode of transport could easily reach. Because of the important role that, commercial vehicles play in Indian Economy, government can never put them off roads, though CV also plays the major role in air pollution. So, government has made it mandatory for all Automobiles including Commercial Vehicles of all types i.e. small, medium and heavy to be BS-IV compliant from April’2017 in India which will specify a certain limit on the pollutants released. Engine of a commercial vehicle in layman’s term is synonymous to that of the human heart. So, it needs to be healthy and fit, so that it could work wonders for the rest of the body. But due to the peak load & base load, engine of a commercial vehicle becomes the most abused part of the vehicle body. Therefore, engine has become the part, which since its existence has kept designers, manufacturers, integrators and testers busy, so that they could help this specific part to develop with time & speed. However, Modern diesel engines are lighter and more powerful, fuel efficient and environment-friendly. To keep the engine affordable, components are to be kept simple. Further complexity comes into play with the combustion chamber and maintenance of temperatures, charge cycles and electrification. But BS-IV, being mandatory for CV vehicles will turn out to be a game changer as it will both increase its on road worth & will also make it last long with benefits like reduction in fuel consumption and more mileage. Shriram Automall India Limited (SAMIL) being the no.1 service provider of used vehicles & equipment has updated their vast inventories with used vehicles & equipments of every make & model compliant with current emission norms. If you as well are looking forward to acquire or dispose used vehicle & equipment, you can visit your nearby Automall and go through their efficiently vast inventory. You can also download “MY SAMIL App” and easily go through the huge range of used vehicles & equipment at your comfort or you can simply click the link below & register yourself. To increase the quality of life, last Monday i.e. 10th April’2017, The Union Cabinet chaired by Prime Minister Narendra Modi signed six memorandums of understanding (MoUs). These MoUs and agreements are signed in the areas of Security, Environment, Sports, Science, Technology and Health, while keeping in mind the purpose between the two countries, i.e. to provide technologically safe and healthy environment to its people. As per one of the MoUs signed, two countries will adopt smart transportation; in which Indian Academy of Highway Engineers (IAHE) with University of New South Wales (UNSW) agreed to establish a Centre of Excellence in Smart Transportation Technology. This MoU is in line with the Ministry of Road Transport and Highway’s vision to influence and adopt global innovation into the transportation sector, which will accelerate the evaluation and adoption of new transportation technologies in India and Australia. For smart cities, this memorandum will focus to conduct research, development and training in the areas of transport system modeling and data. Government is taking all the essentially efficient steps to make Indian Automotive sector both smart, technological & advance, thereby boosting it to grow even further. This Centre of Excellence in Smart Transportation Technology is going to be the world’s first transportation centre involving two countries committed to see technological innovation for economic development through improved safety and reduced congestion. Shriram Automall India Limited (SAMIL), No.1 service provider of used vehicles and equipment in India, since its inception, while playing its part in National Development, look forward to grow across the country sustainably. Company very effectively, while keeping itself aligned with all the newly amended transportation rules and regulations provide multiple transparent platforms to Acquire or Dispose Used Vehicles & Equipment in the country. Now with, Centre of Excellence in Smart Transportation Technology coming, company being the resource focuses to offer used vehicles at optimal prices for research purposes. Government is playing its part, you play yours and buy used vehicles or e-vehicles complied with latest emission norms, for better tomorrow. Visit your nearby Automall today to Acquire or Dispose used vehicles or equipment or click the link below for easy, convenient registration. Over FY06-16, Automobile sector faced the fastest growth at CAGR of 9.4%. Out of which two-wheelers faced the fastest growth of all i.e. at CAGR of 10.09% due to increase in number of young drivers. Just two months into the New Year & Automobile sector is facing quite impressive growth. Where the 2017 Union Budget announcement is being slated, automobile sector is keeping an optimistic approach towards it as it aims to boost the sector. The Union Budget will give boost to the economy, especially rural and infrastructure. With an outlay at Rs 3.96 lakh Crs & complete focus on Infrastructure, would be a positive for commercial vehicle industry as it will boost the demand of both commercial vehicles & equipments. After demonetization in November’2016 automobile sector faced sudden downfall, but now industry is making up for that with fast sales. We can see sale resurgence indication in January’2017 only by the overall Passenger Vehicle (PV) sales that totaled up to 265,320 units to notch 14.40 percent year-on-year growth, February sales of 2017 followed the same direction as well. Total of 21,086,185 vehicles including passenger vehicles, commercial vehicles, three wheelers & two wheelers were produced in April-January 2017 against 19,882,485 in April-January 2016, while registering a growth of 6.05 percent. This month the country's leading carmaker Maruti Suzuki India has announced 27 per cent growth in overall sales. Maruti Suzuki sold total of 120,599 units, in January 2017. Second largest carmaker Hyundai Motor India Ltd. too logged higher sales number with total of 42,327 units. Honda Cars India sold a total of 14,249 units in February 2017. Every known carmaker in the industry is making an exceptional progress we are proud to look at. Shriram Automall India Limited (SAMIL) who deals in used automotive & equipment segment understands that ratio of every new vehicle to used vehicle is 1:1, as every new vehicle sold becomes a used vehicle asset for them, thus helping the auto industry while positively contributing to GDP (gross domestic product). With the new union budget which is focused in direction of rural & industrial sector, SAMIL is there to provide best quality used vehicles & both equipments (construction & agricultural) of all make and brand at optimal prices. On the top of all this with coming GST bill excise duty and state levels taxes like sales tax, road and registration tax would all be subsumed into one which will make the process of buying used vehicles even cheaper & with the company like SAMIL, one can surely look forward to face the best experience of all time while closing the deal involving both corporate core values & all newly amended bills regarding the same. If you are an interested buyer or seller who is looking forward to acquire or dispose a pre-owned vehicle or asset, SAMIL is your best choice. You can simply register yourself through the given link or download “MY SAMIL APP” with easily accessible interface for your convenience. India soon to be the developed country as with the growing technology, country is pacing up as well. With the vision of cashless transaction, technology has now become advance too which now gives us multiple options for easy payment, while providing us power of choice. Shriram Automall India Limited (SAMIL) is the No.1 Service provider of used vehicles & equipment. Company is best known for its professional & transparent services, which work as the resource for customers for all their used vehicles & equipment needs. With changing times everybody looks forward to the easy & convenient ways of dealing. SAMIL with the vision to provide its customers with the best services of all time has come up with the services allied to boost customer experience in all situations. With services like “DESKTOP BIDDING” and “MY SAMIL MOBILOE APP” company has given its customers more range of platforms to choose from. Customers can even participate in live bidding event through these platforms. While bringing transparency through any of the chosen platforms while closing the deal, company is now focused to bring transparency & easy cash flow availability through multiple payment options for its customers. Card Swiping Machine: Company has efficiently installed multiple cards swiping machines in 67 Automalls, nationally, while providing you the comfort of not carrying cash with you which used to be risky. As now you can simply swap your debit/credit card for paying RSD amount. 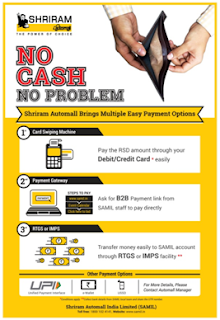 Payment Gateway: for the 100% customer satisfaction, company provides this payment option where customers while doing online transaction can simply log on to www.samil.in & select the event they want to participate in and then pay RSD to bid on their desired used vehicle & equipment at their comfort. Direct Payment through Gateway: For easy & fast transparent mode of transaction, simply scan the QR code & pay the RSD amount at your nearest Automall. RTGS or IMPS: RTGS (Real-Time Gross Settlement) or IMPS (Immediate Payment Service) are specialist fund transfer systems, where transaction takes place on real “time basis” which means that any transaction payment will not be subjected to any waiting period. Through this payment mode, you can simply transfer the money easily from your account to SAMIL account by entering the SAMIL bank details & sharing the receipt with the local SAMIL team at your convenience. If you as well are looking forward to acquire or dispose pre-owned vehicles & equipment, you can participate in the Physical Bidding events in your nearby Automall in person or you can participate in the Live Bidding Event simply by clicking on the link below or by downloading “My SAMIL App”. The India Tractor Market is all set to witness a double digit growth of 16-18% in FY 2017 says CRISIL. However the growth in February & March to only be in single digit number as farmers still cope with the note ban and shifting towards using digital payment modes. The sales were revived as the south-west monsoon came in normal. Rains were 97% of the long-period average, timely and well-distributed, resulting in Kharif production increasing 10% on-year (according to second advance estimates), and Rabi sowing also 5.7% higher on account of sufficient reservoir levels. Farmers had a good sowing season, however due to the demonetization effect sales in November took a toll with de-growth of 13% in November, a modest growth of 7% in December and 5% in January. However the impact is expected to be short-term and sales should recover by the first quarter of 2017-18. With faster acceptance of non-cash transactions in the states like Madhya Pradesh and Rajasthan, going forward demand for tractors is projected to see healthy growth. Tractor sales would also benefit from favorable budget announcements such as record farm credit disbursal of Rs 10 lakh crore and other rural development initiatives. Based on this, we see tractor volumes picking up in coming quarters, though, for lack of a low base as was the case this year, fiscal 2018 could close with a relatively sober growth of 8-10%. 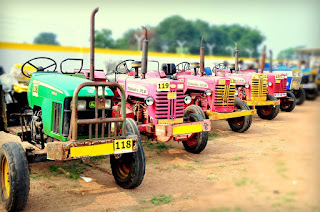 If you are interested in buying pre-owned tractors than Shriram Automall is the right place to be at. The company offers widest range of used tractors & other farm equipment at optimal price to choose from. You can also download its ‘MySAMIL Mobile Application’ to view upcoming events, inventories & even place live bid on the vehicles & equipment you are interested in. To address the issue of national energy security, vehicular pollution & growth of domestic manufacturing capabilities, India unveiled “National Electric Mobility Mission Plan (NEMMP) 2020”in 2013. Not just that, India is looking forward towards the major shift to electric vehicles by 2030 after implementation of this plan. The “National Electric Mobility Mission Plan 2020” has the potential to bring a transformational paradigm shift in the automotive and transportation industry as it is one of the most ambitious & important initiative that Indian Government has taken for better road transport with no air pollution at all. India is looking forward to the planned collaborated promotion of electric or hybrid vehicles by 2020, as through combination of policies, government is looking forward to bring population of about 6-7 million hybrid/electric vehicles in the country. Around Rs.14000 crore has been estimated as an outlay amount for 2020 road map during the span of the scheme. India, with the urge of being the Developed country, is looking forward to provide to provide a clean and gasoline free transportation option to the people in a significant manner, while making this plan a reality which will also reduce oil import burden of the country eventually. Under the broader theme of promotion of alternate fuels, India has already launched FAME - 'Faster Adoption and Manufacturing of (Hybrid and) Electric vehicles' in 2015. Till 2020, the scheme "intends to support hybrid/electric vehicles' market development and its manufacturing eco-system to achieve self-sustenance". Connected cars being the latest buzz word has increased the pressure on the automobile industry to bring connected-cars in the market, which is going to make “Connected Cars” a reality soon. Internet today is in everything and is everywhere: being known as a machine learning set or artificial intelligence, has made internet the centre around which all enterprises & world works today. “Connected” vehicles as well are going to embrace all of these new-age technologies & are going to change the way how businesses and life runs today. The technological aspects of a connected car will involve multiple devices inside the car which will connect with the computing and application servers, which will help in computing power to access real time information and data. Do you know? That our car, yes our today’s car, features about 100 million lines of programming code as it has the computing power of 20 personal computers which processes up to 25 gigabytes of data per hour. Yet, Today’s Automotive Digital Technology focuses on optimizing upcoming vehicle’s internal functions. As now their aim is to turn developing car’s ability to connect with the outside world while enhancing the in-car experience. Connected Car is going to be the vehicle, which will be able to optimize its own operations and maintenance along with the convenience and comfort of passengers while using onboard sensors and Internet connectivity. India in itself, for being at the urge of being a developed Nation soon, is going to invite the “connected car” technology with open arms but first India will have to focus on infamous road safety it has. So, for India it is a long way to go for “Connected Cars”. Though, Recently in Bangalore, the US-based technology giant i.e. Nvidia, invited 25 startups to make demos of communication platforms for connected vehicles with the help of the incubator AutoNebula. This initiative was taken to understand how simulated experiences, of driving a connected vehicle, could be introduced into the real world. AutoNebula focuses to find 20 startups, with connected vehicle ideas, especially in every major city of India. And not just that, startups themselves are swooping in the concept of “Connected Cars”, while creating connected vehicle platform themselves in India. For bring this Technology in India, information stack of consumer-to-corporation, is going to need a lot of integration and maintenance which will be provided by the giant IT companies like Infosys, TCS, and Wipro. Sameer Malhotra (CEO, Shriram Automall) added: “With the sophisticated need of growth, Indian government is taking all the required steps to make Indian automotive segment road worthy. Connected cars in India, is going to be the technology marvel which will turn out to be the game changer for both India economy and eco-system. We are looking forward to play all the required roles it needs, for making Connected Cars, a reality on India”. Until the new fully technological connected cars comes in the India market, if you are looking forward to buy or sell used vehicles & equipment compliant with latest government emission norms, SHRIRAMAUTOMALL is the best place to come to. Visit your nearest Automall or download “MY SAMIL APP” to go through their latest inventory filled with used vehicles of every make & model. You can also click the link below to simply register yourself. Indian Car Market covers quite a large share, among the several automotive segments in the market. Car market here is the most maturing market, which keeps growing with time and keeps bringing new car models in the market over the years. As with the growing demand, car manufacturers while experimenting with the upcoming models try to make models which are technologically. We know that in a market every customer’s choice varies from the other, just like that Indian Car buyers are different from other parts of the world. In India, sedans and SUVs are considered premium, whereas in European and American markets concept of Station wagon is kind of a hit, which simply does not seem to work for Indian market. Our market is considered to be the market of Hatchbacks, as compact cars are the need of today’s car market in India. Manufacturers can see the robust demand of hatchbacks as government as well has implemented rules to allow the development of cars under 4 meters, as they attract less taxes & duty charges. In 2017, the car segment witnessed the growth of 4.9 % in the month of February itself. Top 10 models of country’s largest car makers witnessed the highest sales. Indian Auto-market, which is both vast in size & number, is not vast only for new cars, but also for the used cars. 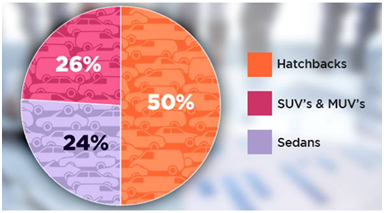 As every new car sold becomes the base of the used automotive segment. Shriram Automall India Limited (SAMIL), the largest acquisition & disposal platform for pre-owned vehicles and equipment in India, has successfully unfurled 67 Automalls across India to meet the demand of used vehicles & equipment in the market. They have successfully turned the troublesome process of buying a used car easy and accessible at optimal prices. You can find used car of every make & model in their advance inventory. People grow through “Experience” and Shriram Automall India Limited (SAMIL), in past 6 years since its inception in 2011, has grown to be the No.1 Service Provider of used vehicles and equipments in India. While offering plethora of services and facilities, along with innovative bidding platforms which empower customers to acquire and dispose used vehicles & equipment, company has become The Largest Platform for Exchange of Pre-owned vehicles and equipment in India. With large database of customers to serve, company has remarkably marked its presence in entire country through sprawling 67 Automall facilities, which offer to serve all kind of used vehicles and equipment requirements, of customers in every nook and corner of the country. 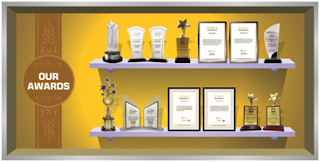 Over the years, company’s services and facilities has turned out to work exceptionally well for its customers. 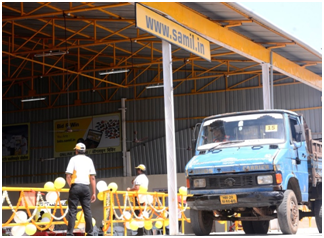 As every step taken by SAMIL, is allied to work as a resource for its customers. Through this professionally ethical approach, company has transformed many lives, while helping truck drivers to become owners & customers to become entrepreneurs. 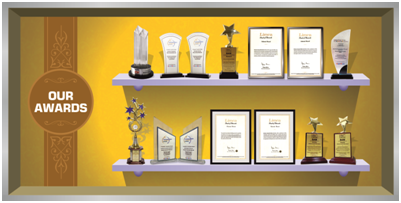 For being such a unique company, SAMIL has been recognized by many Industry Honchos & Expert Pundits over the years, in form of Awards and Accolades which boost SAMIL, to go an extra mile to become great at what they do.